This is a swing gate, as opposed to a sliding gate, but it’s still automatic. Amos Glick of Compass Ironworks pulled on design elements in the staircase in the home’s foyer for the gate’s scrollwork. Courtesy of Compass Ironworks. Top: Constructed for an Englewood Cliffs home, this staircase by Airmet Metalworks leads from the entry hall to the second floor. Its unusual central spine is a fabricated triangle. The rails are round stainless steel pipe, and the balusters are round, solid stainless steel rods. The stair treads are custom extrusions made of aluminum. Courtesy of Airmet Metalworks. 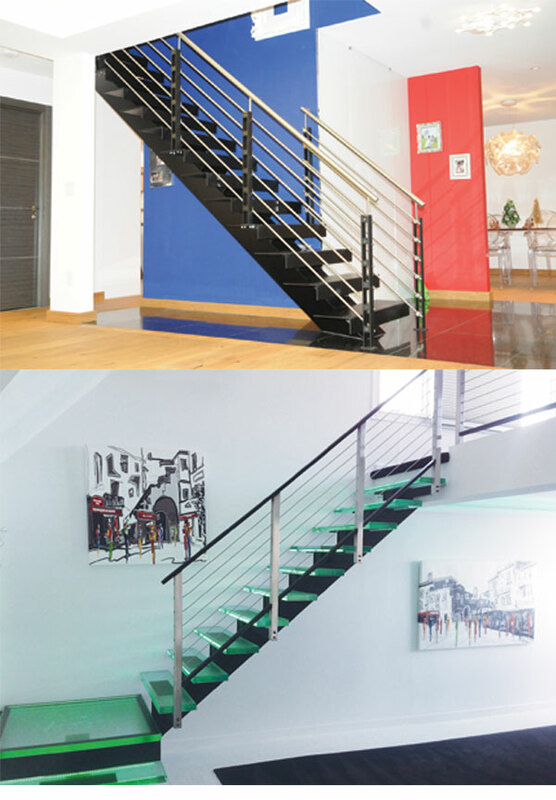 Bottom: This metal-and-glass staircase by Airmet Metalworks leads to a loft in a Mendham home. It was built on a custom iron stair spine and features two-inch-thick glass stair treads composed of five layers of glass fused together. The central spine is made of four pieces of iron. Posts are two-inch-square stainless steel, while the top rail is rectangular steel tubing painted black to contrast with the high gloss of the stainless steel. LED lights on the backs of the stair treads can change color. Courtesy of Airmet Metalworks. This fence by Compass Ironworks is angled to meet the property’s terrain, Glick says. 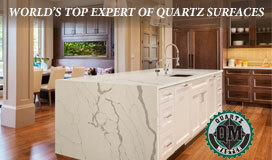 He adds that it elegantly meets BOCA requirements. Courtesy of Compass Ironworks. Learn about a host of codes and regulations when incorporating decorative ironwork into gates, fences and stair railings. Ironwork is a decorative and functional addition to any home. But what lies behind those gates, fences or stairways are many regulations that have nothing to do with aesthetic considerations. 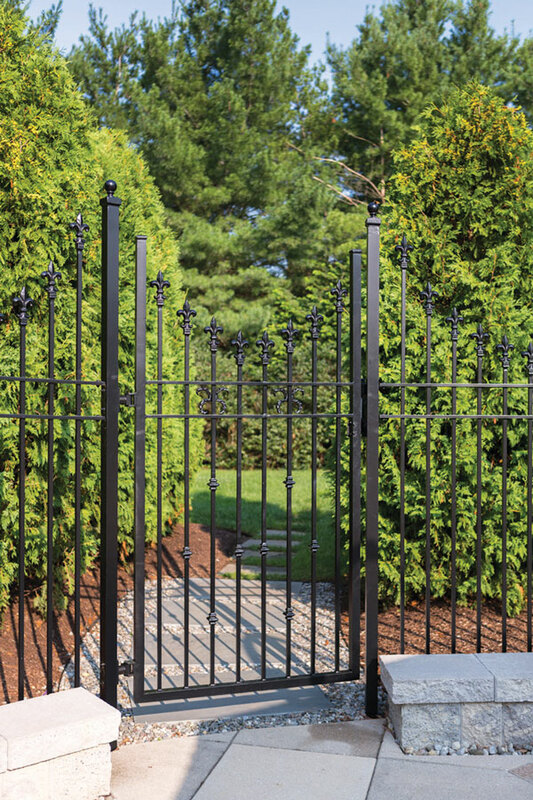 Homeowners need to be aware of these, if only in a broad sense, because they are ultimately responsible for the safety of that gate, fence or stairway, says Amos Glick of Compass Ironworks, which is based in Gap, Pennsylvania, and works throughout the region. In any lawsuit involving a safety defect on a gate, for example, an architect, landscaper or contractor might be named, but the homeowner is primarily accountable for injury or damage, Glick notes. Homeowners with the financial wherewithal are likely to hire architects and/or contractors for their project. And the contractors “can provide higher value for clients” in terms of knowing the ins and outs of what is—and isn’t required—when it comes to ironwork, Glick says. Architects are “somewhat conversant” with the issues, but “the contractor can provide the higher value for clients,” Glick says, based on his experience. Homeowners who go it completely alone can end up with “a risky environment for both their family and the public,” he cautions. So what regulations govern ironwork? Glick and Steven Yavorski of Newark-based Airmet Metalworks outline the basics. Underwriters Laboratories Inc., which is not a government entity, works with the Consumer Product Safety Commission to ensure that electrical products are safe, including automated iron gates. No federal law mandates compliance with UL 325 for gate operators, for example, but some state and local laws do require compliance. UL 325—which sets safety standards for door, drapery, gate, louver and window operators and systems—was updated recently. It now mandates that the distance between a fixed object such as a wall, pillar or column and a swing gate, when in the open position, can’t be less than 16 inches so a child—or anyone—in that area cannot be injured or crushed between the gate and the fixed object. Also critical, Glick says, is “entrapment” protection. In other words the gate has to have a system that senses it is hitting someone or something. Gate systems require a minimum of two types of entrapment protection. Previously an audio alarm was allowed to be one type, but because people were either ignoring or not hearing the alarm, that has been removed from the law in favor of safer options. Rules regarding the bars on fences are dictated by codes developed by the Building Officials Code Administrators. BOCA and three other code systems have been folded into the International Building Code, which has been adopted throughout most of the country. Under the code, there must be 45 inches between horizontal bars so a child cannot use them like the rungs of a ladder to scale the fence. Vertical bars cannot be spaced more than 4 inches apart to prevent young children from getting their head stuck between them. The International Building Code specifies that outdoor stair railings need to withstand 50 pounds of force in any direction for every linear foot of railing. For example, if the posts of the railing are six feet apart, than the structure must withstand 300 pounds. These homes were built years ago without railings, Yavorski says. “People never needed railings, and they don’t like the way they look,” he adds. But safety is key and not just in whether there are—or aren’t—railings. “A lot of people look for the most inexpensive railings out there,” Yavorski says. And these railings—hollow, tubular posts—will still pass code. Yavorski’s on the other hand are solid iron.